In an effort to make this comic book be the best it can be I’m running into some issues but if you pre-ordered I just want to let you know that yes it is coming and I’m very sorry that it is taking so long! I’ll let you know when it has shipped here! Thanks for your patience and for being fans! 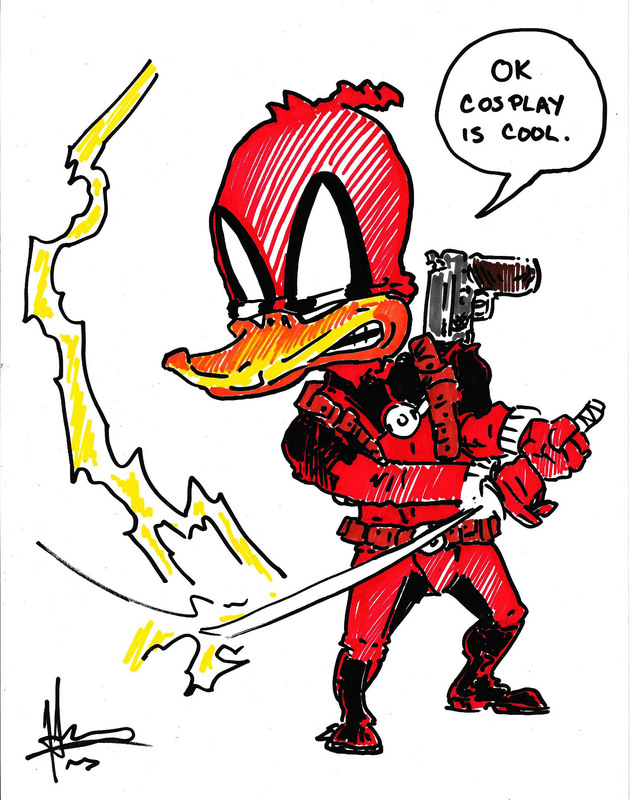 Here is another pic of Lightning Duck dressing up- it’s one of his favorite things to do!